With automatic emergency braking and the 2.0-liter now standard on the A3 Premium, the entry level model offers an especially strong value. The 2017 Audi A3 comes well-equipped and is a pleasant, polished entry-level sedan worthy of serious consideration. A host of minor updates have kept Audi's weapon in the battle for compact luxury buyers fresh and competitive. Headlining the changes is an updated infotainment system and a newly optional LCD screen that replaces the conventional gauges, but buyers of the front-wheel-drive model will also find a more powerful and larger engine under hood for 2017. 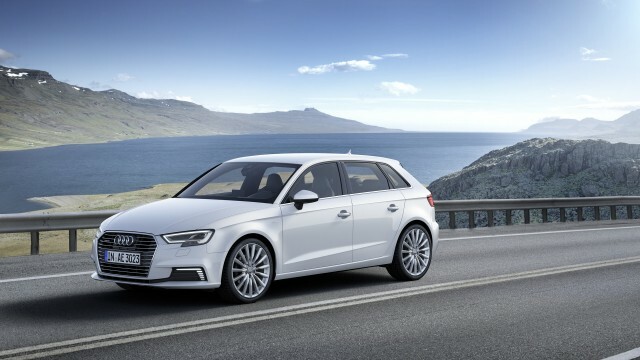 A new family of vehicles that slots in below Audi's larger A4 lineup, the A3 was first introduced for the 2015 model year as a four-door sedan, and later added convertible and plug-in hybrid hatchback variants, as well as the sporty S3 (covered separately). Both the convertible and sedan are available in Premium, Premium Plus, and Prestige trim levels, but all utilize the same 2.0-liter turbocharged 4-cylinder gas engine. The A3 has a quintessentially Audi appearance, a look that's now rather conservative up against the competitive Mercedes-Benz CLA-Class. You have to look closely to differentiate it from even the new-for-2017 A4, despite a number of enhancements for 2017. A more aggressive front fascia is now filled with standard xenon headlamps (LEDs are optional) and revised wheels set the latest model apart from the last two model years. Where the A3 ventures subtly into new aesthetic territory for Audi is inside. More of its Volkswagen roots show through in its horizontal, lightly adorned dashboard, which isn't a huge surprise since the A3 shares its underpinnings with the dynamically excellent Volkswagen Golf. Audi's Multi-Media Interface, or MMI, controller takes up real estate on the center console and it includes a touchpad that can recognize handwriting inputs. 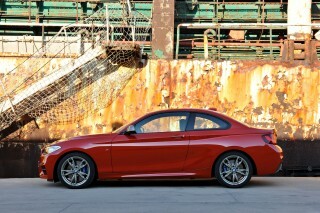 Gone is last year's 1.8-liter engine that powered front-wheel-drive models. Now, all A3s except the e-tron are motivated by a 220 horsepower, 2.0-liter turbocharged inline-4 with direct injection. The only transmission on offer is a 6-speed dual-clutch automatic that can fire off rapid manual shifts if called upon. An all-wheel-drive model is also available. Those looking for even more zip should consider the S3, which utilizes an uprated version of the A3's 2.0-liter engine rated at 296 horsepower. Capable of accelerating to 60 mph in just 4.8 seconds, it is a remarkably balanced, high value performance machine. 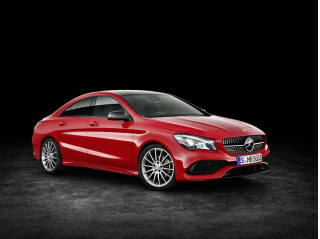 A3s stretch just 175.5 inches long and ride on a 103.4-inch wheelbase, more than a half foot longer than Mercedes' CLA, which gives them a more usable rear seat—although that's not saying much since the CLA's is a challenge to access. Audi now fits all A3s with a suite of collision avoidance technologies including forward collision alert and automatic emergency braking. A blind spot monitor bundled with rear cross traffic alert is optional on the Premium Plus and standard on the Prestige, but even the Premium includes a rearview camera and acoustic sensors for the front and rear bumpers. Even the base A3 Premium is well equipped for the money, with leather seating surfaces, a power driver's seat, Xenon headlamps, and a panoramic sunroof all standard. Audi's MMI infotainment with Bluetooth audio streaming. Stepping up to the Premium Plus adds heated front seats and a proximity key, while the range-topping Prestige includes a 14 speaker Bang & Olufsen audio system, LED headlamps, and navigation. Audi Connect is a key upgrade for those interested in a high degree of connectivity. With a monthly subscription, A3 drivers can tap into a 4G/LTE data network that delivers Google Earth maps and other rich feeds to the car; it can even store photos of destinations for use as favorites. Audi Connect also provides wi-fi access to as many as eight devices, and it can stream music from them via the local wireless network it creates. The A3 cabriolet isn't a big seller, but it is a tidy and relatively inexpensive droptop. Its cloth top includes a glass rear window and folds back at the press of a button. 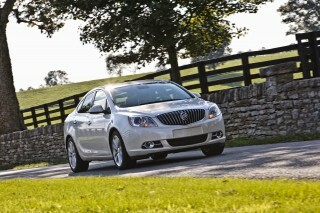 It squares off best against the Buick Cascada, which is a little roomier but not quite as polished inside and out. The 2017 A3 front-wheel drive with its new powertrain manages 26 mpg city, 35 highway, 29 combined, but the 2017 A3 sedan with all-wheel drive checks in at 24/31/27 mpg. Although it shares its name with the A3 sedan and cabriolet, the A3 Sportback e-tron utilizes a lithium-ion battery pack and an electric motor mated to a 1.4-liter turbocharged 4-cylinder, for a net of 204 horsepower. In electric-only mode, the A3 e-tron can travel about 25 miles, and it has a 500 mile-plus on a full tank of gas and a full charge of the battery pack. Audi says that the e-tron can be fully recharged in about four hours. The A3 e-tron is a five-door hatchback based on standard gas and diesel-powered versions of the European-market A3, which endows it with some added practicality over the sedan. Two configurations—Premium and Premium Plus—are available for what's basically an upscale rival to the Chevrolet Volt. The Volt, however, offers considerably more electric-only range. Though it may be formulaic, the A3 is cohesive and attractive. Looking like a downsized version of the Audi A4 (which in turn looks like a shrunken Audi A6), the A3 fits in well with Audi's lineup. At first glance, Audis can be hard to tell apart, but that consistency has been a brand hallmark for about two decades now. Updates for 2017 include revised headlamps and a new grille, as well as different wheel designs. Still, it'll take an expert to spot the differences, which is something of a boon for owners of 2015s and 2016s. 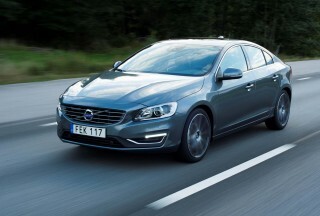 An S-Line package adds some mildly sportier design touches, but is purely cosmetic. The A3 Cabriolet is particularly neat and trim, with its folding cloth top nicely integrated into its stubby design. Inside the A3, in both sedan and cabriolet form, diverges more from the Audi mold with a simplified dashboard and distinctive round vents for its climate control system. Like other Audis, however, its 7.0-inch MMI infotainment screen motors out of the top of its dashboard when called upon. The MMI system's knob and button controls fall easily to hand on its center console. Meanwhile, the A3 Sportback e-tron looks decidedly European, which shouldn't be much of a surprise since the non-electrified A3 Sportback is a big seller in the old countries. Five-door hatchbacks aren't exactly en vogue among premium automakers here, but we laud the Sportback e-tron's additional cargo room flexibility. More power for the front-wheel-drive A3 helps keep this range competitive. 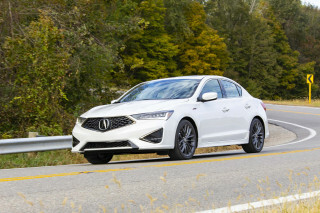 With last year's lower-output, 170-hp base engine now a thing of the past, all A3 sedans and cabriolets now utilize a robust, 220-horsepower 2.0-liter turbocharged 4-cylinder gas engine. The only transmission on offer is a 6-speed dual-clutch automatic that fires off ultra rapid shifts but can occasionally feel clunky at low, urban speeds. While enthusiasts don't get a stick shift and a clutch pedal, the 6-speed offers paddle shifters mounted to the chunky steering wheel for more manual control. All A3s utilize the same advanced platform used in the Volkswagen Golf. This rigid architecture allows Audi to utilize a relatively soft suspension while still providing deft handling. Electric power steering is light but direct and helps endow the A3 with above average handling. A Sport Package for the A3 brings a more buttoned-down suspension that can feel a little stiff over expansion joints, as well as better bolstered seats. Uniquely, Audi offers the sport suspension as a stand-alone option as well. The A3 is only marginally less zippy with its top removed. There's some light scuttle shake over especially bad pavement, but overall the A3 Cabriolet is nicely composed. Those looking for a more eco-friendly ride will find a similar experience in the A3 Sportback e-tron, which combines a 1.4-liter turbocharged 4-cylinder gas engine with an electric motor powered by a lithium ion battery. The e-tron's 8.8 kwh lithium ion battery pack is mounted low, which helps bring the car's center of gravity down slightly. Although it won't win a drag race, the A3 Sportback e-tron is refined and pleasantly peppy given it weighs about 500 pounds more than a base A3 sedan. Helped out by its 258 pound-feet of torque, the e-tron is surprisingly sprightly. A handy EV mode button allows drivers to tap into electric-only power when they choose, meaning they don't have to burn a full charge in a higher demand situation like freeway driving. The A3 feels appropriate for its price inside with lots of nice design features, but its rear seat is cramped. For the most part, the A3 impresses with its in-cabin technology and its attractive, conservative design, but it reveals its economy car roots with its cramped back seat and unusually high road noise. Up front, things are better, with nice materials and a choice of standard and sports seats wrapped in nice leather. Leg room can be tight for taller drivers, especially around the center console, however, and both seat designs have fairly short bottom cushions. Drivers get a power seat as standard, but a power passenger seat requires stepping up to the Premium Plus. But the A3's most egregious fault inside isn't its cramped space—which we expect from such a small footprint. 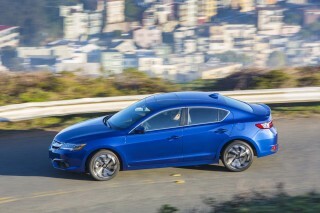 Instead, it is the sedan's hefty road noise, which is exacerbated with larger wheel and tire options. The A3 Sportback e-tron offers the same experience for front and rear seat passengers, but its cargo area is considerably more versatile. Newly standard automatic emergency braking and good crash test results help the A3 significantly. We applaud Audi for making automatic emergency braking a standard feature on the 2017 A3, regardless of trim level. That's a big step forward for an entry-level model that was already highly rated by the IIHS and the NHTSA in their crash test evaluations. It's because of that commitment to crash worthiness and collision prevention that the A3 nets a 8 out of 10 for safety. (Read more about how we rate cars). On those measured tests, the A3 performs well. The IIHS says it's a Top Safety Pick+, while the federal government rates it with five stars overall. However, it's worth noting that the NHTSA gives the A3 four stars for frontal collision and in the rollover categories. All A3s still come standard with a system that prepares vehicles for impending impacts by rolling up windows, closing the moonroof, and tightening the seatbelt pretensioners. 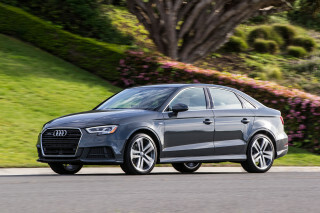 The A3 offers some additional safety features as extra-cost options. Automatic high beams for the LED headlamps are standard on the range-topping Prestige, as is a system that can nudge a drifting A3 back into its lane if it begins to move toward the center line. Blind-spot monitors are also standard on the Prestige and optional on the Premium Plus, where they are bundled with rear cross-traffic alerts. Rear side impact airbags are available on all A3s and are worth considering if you regularly have back seat passengers. All A3s are well equipped and Audi offers a wide range of customization options. Audi's product planners have done an exceptionally good job of outfitting this small four-door and convertible lineup—even at the base level. Moreover, a wide range of optional features are available either in packages or a la carte, making the A3 exceptionally easy to custom tailor. That's something not seen in most rivals, which merits the A3 an impressive 8 for features thanks to a good base infotainment system, good base car and excellent options. (Read more about how we rate cars). Leather upholstery, a power driver's seat, dual-zone automatic climate control, Bluetooth streaming audio, HD Radio, SiriusXM satellite radio, xenon headlamps, LED daytime running lights, a rain sensor for the wipers, and a panoramic moonroof are standard across the A3's lineup. That's impressive kit any way you slice it. Moreover, even the base A3 Premium can be outfitted with a choice of three interior colors, making it somewhat of a challenge to justify stepping to the Premium Plus. That model adds Apple CarPlay and Android Auto (which are optional on the Premium), heated front seats, and a power passenger's seat, and it is available with an S Line styling package. The range-topping Prestige lays on the luxuries with 705 watts of Bang & Olufsen audio, full LED headlamps, adaptive cruise control, and automatic high beams. Major options worth considering include a Sport Package that tightens up the suspension and adds more heavily bolstered seats, navigation for the MMI infotainment system, and the automaker's Virtual Cockpit system—a large, high resolution LCD screen that takes the place of the conventional gauges and can be configured with everything from a Google satellite view to simple analog-style gauges. Audi's innovative subscription-based Audi Connect system makes use of an AT&T 4G LTE antenna that can either act as a hotspot or deliver news and updated Google Maps overlays to the infotainment system. For 2017, the system is split into Connect Prime and Connect Plus. Prime is a simpler, less expensive per month setup that delivers maps and traffic info, while Plus can make the car into a full wi-fi hotspot. And if you're really keen on having an A3 that's all your own, the automaker's "exclusive" department can paint it in a custom color—just in case you have a favorite sweater you want to match to your new car. That sounds like a lot of features because, well, it is. With that in mind, it doesn't take much to swell a loaded up A3 Prestige's sticker price to around $45,000. Options for the A3 Cabriolet and A3 Sportback e-tron nearly mirror those of the sedan. The A3 with all-wheel drive checks in at 27 mpg combined. Don't mention diesel; Audi's short-lived A3 TDI was pulled from the market after it was revealed that it, as well as a host of models offered by parent company Volkswagen, were equipped with an emissions cheating device. The remaining A3 lineup isn't quite as green, but Audi is focusing a little more effort on its A3 Sportback e-tron to wave the eco-friendly flag. However, most A3s will be sedans with either front- or all-wheel drive, the latter of which slightly outsells the former and is rated at 24 mpg city, 31 highway, 27 combined. The slow-selling A3 convertible model manages 22/30/25 mpg, according to the EPA, and the 2017 A3 front-wheel drive with its new 2.0-liter 4-cylinder is rated at 26/35/29 mpg. The A3 Sportback e-tron is the efficiency leader. It's been rated at 34 mpg combined, or 83 MPGe, by the EPA for 2017. The A3 Sportback e-tron also includes a Bosch home charger with vehicle purchase and it qualifies for both federal and state incentives for certain buyers that could substantially lower its sticker price.